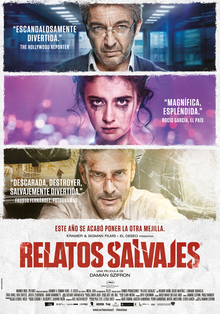 Argentinian black comedy with six short stories involving distressed people, nominated for the Oscar in 2015 (Best Foreign Language Film). It’s about hatred making people to act like crazy beasts. This entry was posted in Movies and tagged ***** Movies on 25 January, 2016 by Jānis.